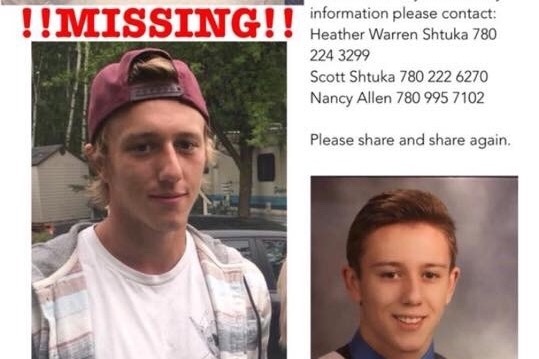 Ryan Shtuka, a 20 year old from Beaumont, went missing after leaving a party in Sun Peaks Friday at approximately 2:10 AM. He was last seen wearing dark jeans, a grey/white shirt, blue coat, and a burgundy ball cap. He has not been active on social media or his phone since his disappearance. Countless family and friends have driven to BC to join his parents in his search, and I know so many of us are wondering how we can help. Let’s help take the financial burden away from his parents, Heather and Scott, so they can put all their efforts in continuing the search for their son. We are into week 8 of the search for Ryan. When the Go Fund Me was started, we never would have dreamed that the family’s expenses would be so high. The Shtukas are supporting their home in Beaumont and have made another home in Sun Peaks Ski Resort. They are also funding the ongoing volunteer search efforts. While support from the communities has been incredible, the funds in the account will be quickly drained with all the ongoing expenses. We, their close family and friends, know that Heather and Scott would never ask. So we will do it for them. Please help in supporting the Shtuka family so they can do everything possible to find Ryan. Please help by sharing and donating.